I have a football presumably from a 1980's era LA Raiders summer camp. Signatures include: Marcus Allen, Mike Haynes, Willie Gault, James Lofton, Howie Long, Rod Martin, Bill Bickel, Jim Plunkett, and Jerry Robinson. There is a signature I can't identify. Also, there are two initials at either end of the ball--a "P" and an "R". Can anyone help me identify the unknown signers? 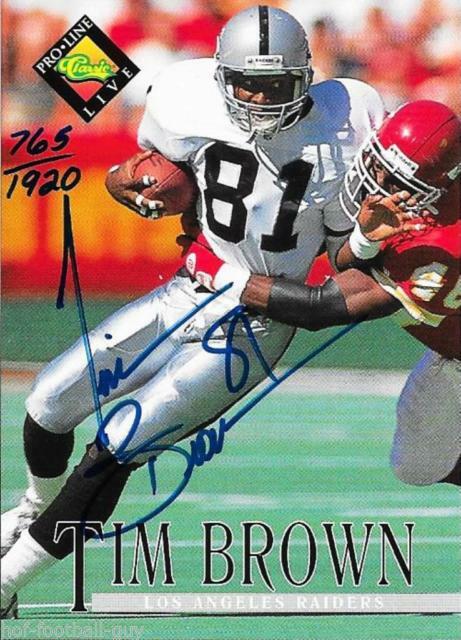 “When I first got to the Raiders I actually wore 85 in preseason and I was crying the whole preseason,” Brown said. “I was trying not to go to the media about it, but finally I had to make a deal with the tight end who was wearing the number 81." The signature below is the closest I can find in similarity and timeframe. Not the answer you're looking for? 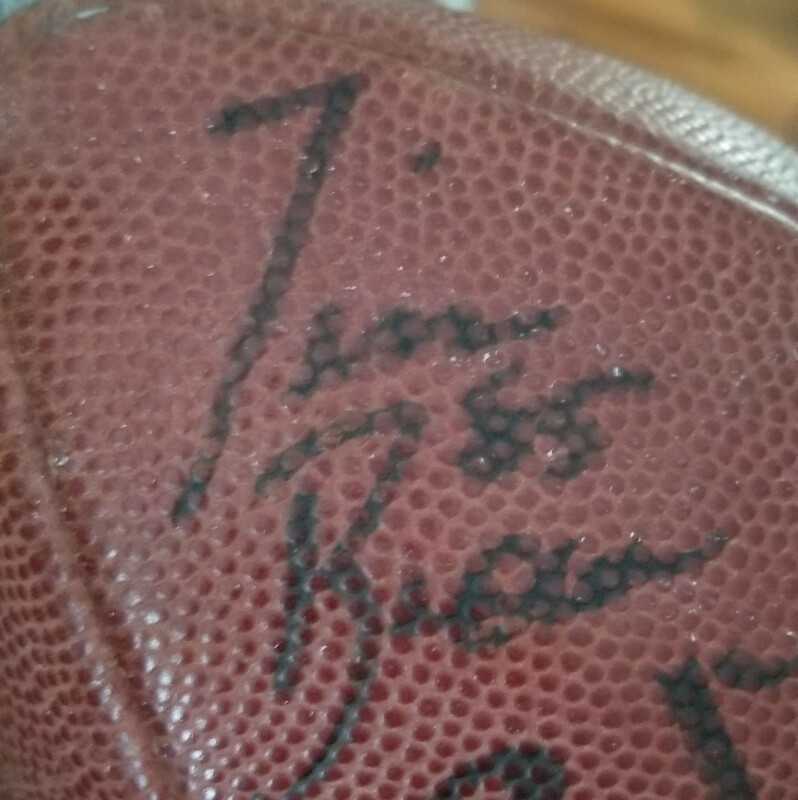 Browse other questions tagged american-football autograph-identification or ask your own question. baseball autograph not sure who signed this ball?